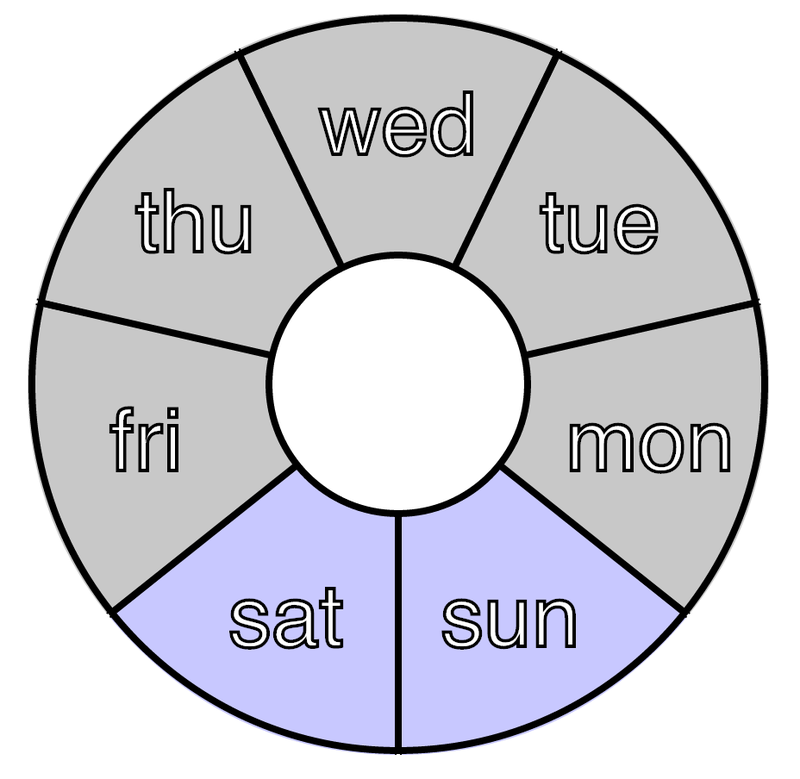 I guess the specific rotation and counter-clockwise direction reflects a dash of synesthesia, and also how important physical layout is to my sense of recall -- if I'm trying to do a week-based day calculation, I'll often use my hand to as an arrow to mark my place in the week, in the same way I'll still unconsciously shape an "L" with my left hand to recall which direction is which. I'm less certain why I place the weekend down. 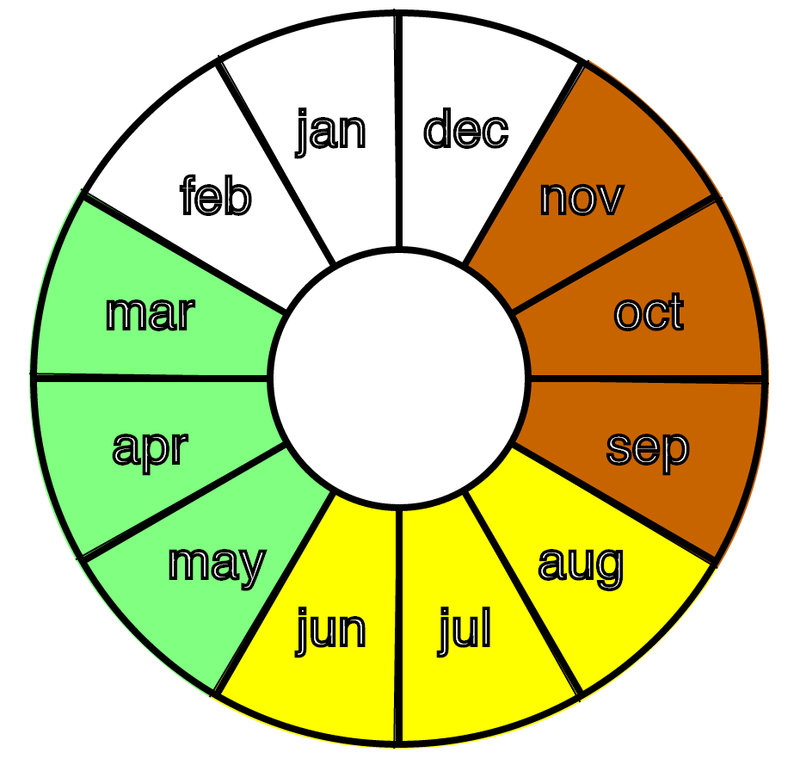 My best guess is see that as the start and stop of a week, and is either "heavier" or "where the week meets the road" (to stretch the physical metaphor, since I view myself as moving in the fixed week-wheel rather than it moving to accommodate me.) The counter-clockwise motion then springs from that - I read left-to-right, so the Saturday-Sunday "start" to the week is in that "forward" direction, and thus drives the rest of the loop. Neither visual is strongly color-coded for me, but week vs weekend and the various seasons have a different ephemeral feel, here color-coded for grins.